Realfiction is a leading global manufacturer of mixed reality solutions for retail, education, events and brand activations. Our pioneering displays generate attention that resonates with today’s consumer who increasingly live beyond the reach of classic advertising. For more than a decade, founders Clas Dyrholm and Peter Simonsen have built a position as industry leaders in creating visual experiences by developing solutions that evoke emotions, engagement and sensory awareness. With our headquarters based in Copenhagen, Denmark, we are a partner-centric company operating on the global scale. Our extensive network of resellers and creative agencies is the core foundation that enables us to deliver scalable solutions for any project. 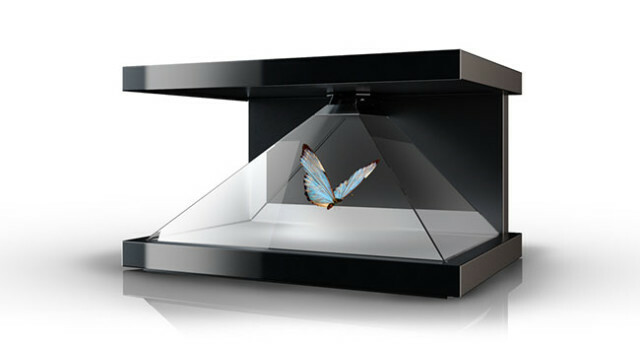 The first video holographic installation was developed and tested in late 2002. This took place inside a fashion shop in the heart of Copenhagen, Denmark. The idea was to use a real shop interior as a stage for a virtual experience, where a girl is trying on clothes in the middle of the shop, as if she was standing in her own room getting ready for a night out, and thereby creating a sudden and unexpected loophole between two parallel universes – the public and the private. 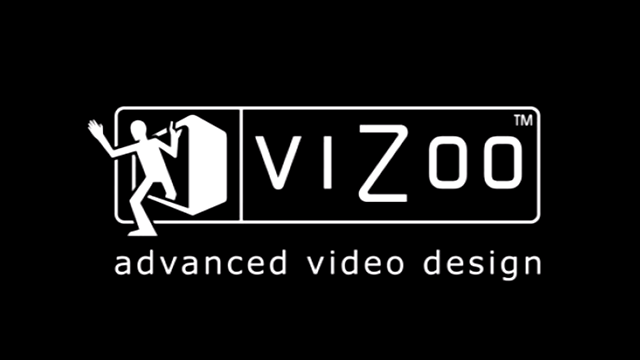 Peter Simonsen, Clas Dyrholm and Morten Corell join forces as the video design company Vizoo. Vizoo launches VideoLogo as a simple but effective idea about projecting video inside a logo shape, thus exposing the viewer to a logo amplified with identity and/or emotion inside. Using the slogan “Why live in one dimension?” Lexus used Free Format across the US in their launch of their new IS hybrid sedan. The creative agency Team One Advertising won several awards for this innovative campaign, including“Satchi – Idea of the year” the “2006 IAAA silver Outdoor” and the “Bronze 2006 Clio”. 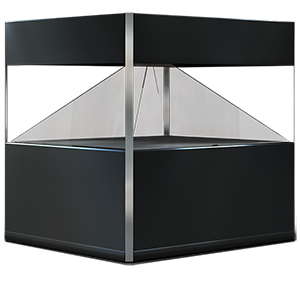 Cheoptics360, the third product launched when in the company Vizoo, introduced new dimensions to our effects as we stepped from a one-sided experience to a 360 degree viewing angle. This new technology also enabled us to go from large size effects, with a preferred viewing distance of 4 to 5 meters, into near field display areas with close up experiences. In 2007 Diesel came to us with the vision of doing an underwater theme holographic fashion show. We developed a V-shaped catwalk where audiences on both sides could see real life models mixing with a virtual underwater world. The result was an amazing 18 minute long voyage through a deep sea fantasy world, with a finale where the entire virtual Diesel space was liquified, enabling Diesel to launch their first perfume. In late 2007 Peter and Clas decide to leave Vizoo in order to follow their dream of focusing on developing innovative products for the retail industry. 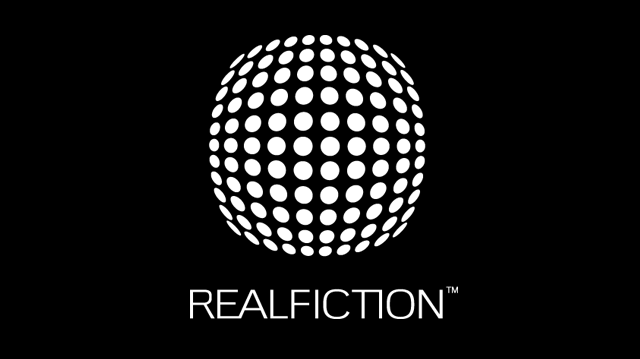 In October 2008, after a year of preparation they founded Realfiction. In spring 2009 Realfiction introduces the Dreamoc and starts building up its worldwide brand name. After having realized a need for an astonishing 3D retail product for high-end brands, Realfiction distributed its new product through its worldwide network of partners. The Dreamoc was readily embraced by the targeted high-end users. In 2010 Realfiction launches the Dreamoc XL in order to satisfy the customer need for an even more spacious Dreamoc. The DreamocXL quickly becomes the center of attention when integrated in stores. Scandinavian design has since the 1950s been equivalent to elegance and simplicity produced in high quality. 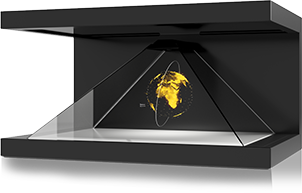 By following the same philosophy and working with skilled designers and manufacturers, Realfiction has made a new product line, within holographic 3D displays, called Dreamoc Scandinavia . When it comes to the choice of materials we focus on resilient and exclusive components such as aluminum and brushed steel, which gives the product series a distinct and exclusive look and feel, as well as the high level of quality that Scandinavian design is also known for. 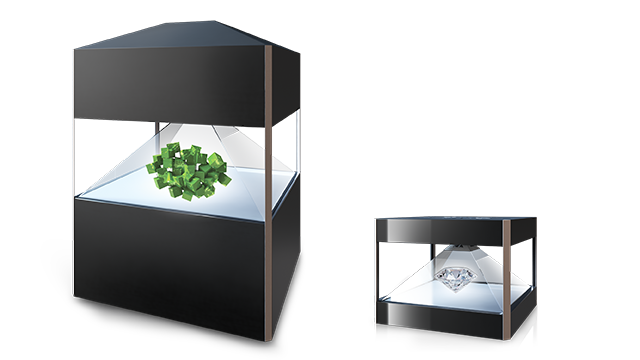 In late 2012 Realfiction introduces, based on state of the art LCD technology, a transparent LCD Display. This unique display gives you an opportunity for combining physical objects with full color video content. 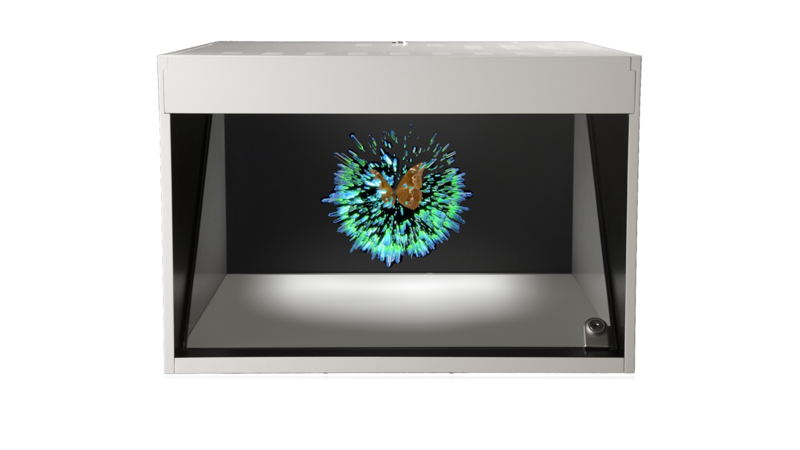 The see-through display opens a world of opportunities for creating powerful effects to make your product come alive. Over the years we’ve had a lot of requests from clients wanting larger holographic solutions with huge stopping power. So we decided to go all in and create the ultimate experince for use in airports, shopping malls, exhibitions, experience centers, museums etc. In early 2013 we had it just right. The result was a giant four-sided foot traffic magnet, a setup we’d always dreamt about creating. Because now with our largest standard hologram display so far, real and virtual mixing is more enchanting than ever before. More features + higher quality + lower price. Does that sound too good to be true? Well, it is now a fact! Meet the Dreamoc HD3. Produced in volume by one of the world’s largest display manufacturers, this is a huge evolutionary step for the Dreamoc technology. Our bestseller just got even better. With the extremely cool feature "Dreamoc Fusion" our one-sided display can be linked in groups to create mindblowing visuals. Designed especially for commercial environments like shelf spaces or window installations, the ability to amplify the effect across several displays delivers valuable flexibility. Morten Corell join Realfiction to effectively complete the original trio from 2002. The updated version of our mid-large display solution, features an impressive upgrade of components, accessories and a considerably lower price point. The newest upgrade to the Dreamoc range presents the grand XXL3, with its 4-sided viewing angle and sheer massive presence. A focal point destination in itself, the XXL3 is designed for making an impact at trade fairs, museums and other very large settings. With newly constructed picture engine, energy efficiency and simplified construction for fast setup. With DeepFrame size is no longer an issue, as the displays can reproduce visuals of virtually any size, fundamentally changing how digital visualiations meet reality. This technology offer many applications that apply to a broad range of industries, to visualise everything from a new bridge, a car, a rebuilt castle ruin or a real-size spaceship hovering above the city skyline. 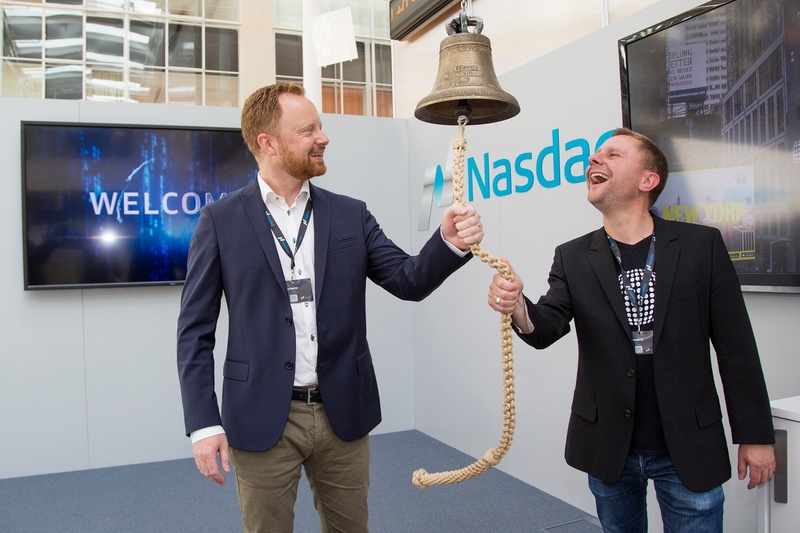 Realfiction is listed on the Nasdaq First North Stockholm platform. See more under "Investor" (LINK) in the top menu.